Behind the scenes discussing production techniques with the audio engineer for Daryl Hall's online concert series. 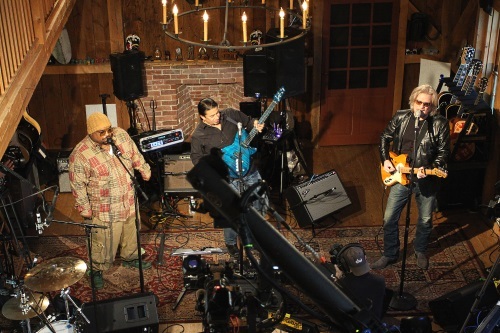 Live From Daryl’s House is an online concert series (later expanded to broadcast TV) created by singer-songwriter Daryl Hall (half of the musical duo Hall & Oates), who loved the idea of being able to perform for audiences without leaving his house. 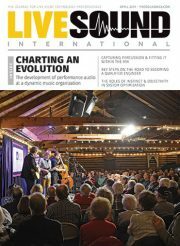 Though the production has now moved to the purpose-built Live at Daryl’s House Club in Pawling, NY, Hall and his band still play host to a wide variety of talented musical guests. I recently had the opportunity to chat with audio engineer Peter Moshay, who has been recording and mixing the shows since the series’ inception in 2007. Michael Lawrence: Do you mind sharing a little bit about how you got started? 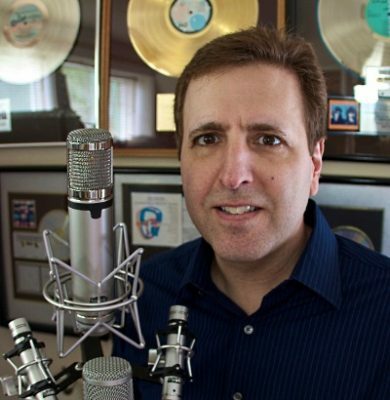 Peter Moshay: I’ve been doing music and audio my whole life, since I was a young kid. I’ve been working with Hall & Oates for more than 30 years now – on the road with them in the past and until recently I’ve been their production manager, front of house engineer, and overall tech. ML: The Live From Daryl’s House gig came out of that? He’s not a very technical person, so he asked me if it would be possible. The problem was, when we started the show, the internet was basically dialup. DSL (Digital Subscriber Line) was just starting to come out, so we started off with a very low-quality, low-bandwidth show, like a 96k Real Media Player show, and we slowly upped it over time. I was constantly experimenting with different encoders and things to make it sound and look better, and we just kind of developed it as time went on. It was always free – the idea was never to have commercials. We still don’t have commercials when we put it on the web. You can see it’s been on for over 10 years now and we’re now in production for a couple of new seasons. The more important thing going forward is that we’re now putting it out internationally so people in other countries can watch it. That was always a big problem because of all the legalities and clearances that go with it. But now that we’ve teamed up with BMG (one of the show’s producers), it’s no longer a problem. That’s part of why we were on hiatus for a little while, trying to team up with somebody who could help us with those aspects. ML: From a technical standpoint, I’ve heard some of the mixes that go out to the web – the broadcast mixes, I’ll call them – and they’re phenomenal. ML: I sent one – actually it was the Kenny Loggins episode – to a buddy of mine who’s a drummer and also a very good engineer, and he listened to it and said, “Man, the snare is perfect,” and I’ve never heard him say that before. PM: Ha ha! The elusive snare drum, yeah. That’s the first thing that everybody hears. ML: Can you shed some light on your workflow, what you’re using to do the recording? PM: Sure. I record it just like I would record any studio album. I brought in recorders, and in the beginning I was thinking of using ADATs. They were still in use at the time, kind of on their way out, but it was the most viable, cost-effective thing at that point. I ended up using the Alesis HD24 for a season or two, because they’re cost effective and they’re reliable, you know? They just work. I’ve had zero failures with them. I would go first into the Focusrite ISA 828 preamps and then optically out into two sets of the HD24. Nowadays it goes into one Alesis and to (Avid) Pro Tools. And then I go to a Sony Oxford console that I’ve had for a long time, and I still use it when I stream live shows. I’m just quick and fast on it, and it sounds great. I have a studio at my house to do the mixdowns with an SSL AWS 900 (console). That’s what I usually do, but every show is a little different! There’s been a couple shows that I’ve mixed from a hotel room on my laptop, you know? Just because we were traveling.